But Mr Biti wrote on micro-blogging site, Twitter: "The regime will this week introduce a new Zimbabwe currency not backed by any #reserves & without the context of structural reforms which is a prerequisite for currency reform. That move is pure undiluted #insanity. 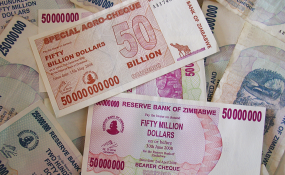 An unbanked currency is just the #bond note by another name." "He is a member of the opposition so that is always welcome. It keeps us on our toes, but we have policies, we will do it when we are ready. But we have a game plan, a roadmap and we will do it when the conditions are right."